In 2006, the sales staff at Service Champions sizzled. They were so good at their jobs, they helped the company reach an estimated $11.8 million in revenue. 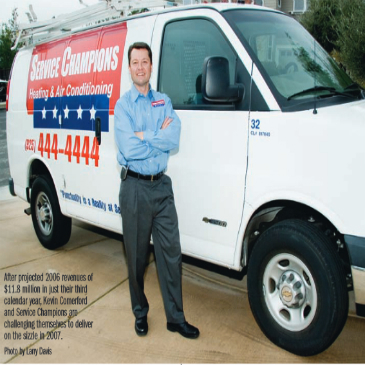 This year, in 2007, Service Champions is focusing on the steak. He compares it to ordering a fajita in a restaurant. Your mouth waters over the sizzle, but the steak has to live up to your expecta-tions. “It’s the same in our business, when we’re in a home talking about how great our company is – that’s all sizzle,” he said. “We have to have the steak to back it up. Check it out here.